Sometimes referred to as the ‘Father of Biogeography’, Alfred Russel Wallace is known as the co-founder of the theory of evolution, and was well-versed in zoology, botany, anthropology, politics, astronomy and psychology. Although notorious for his unpopular and eccentric beliefs, he is still recognized as one of the leading figures in nineteenth-century British science. 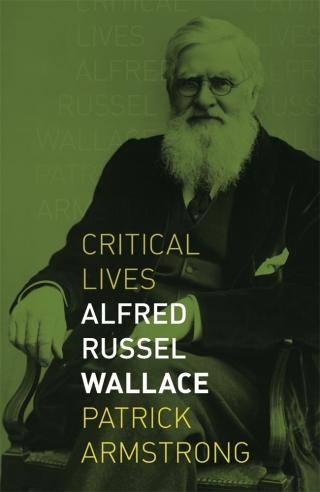 Patrick Armstrong describes Wallace’s long life, from 1823 to the eve of World War I, and shows him to be, in many ways, a more interesting character than his fellow scientist Charles Darwin. This compact yet comprehensive biography takes a psychological approach to give insight into a man who was plagued with misfortune: legal issues, obtaining full-time employment, and relationship troubles all vexed him. The book unlocks the life of a restless traveller who, although he grew up with an ‘ordinary’ education, became one of the most influential scientists of his time. Patrick H. Armstrong is an Adjunct Professor at the University of Western Australia. His many books include All Things Darwin: An Encyclopedia of Darwin's World (2007) and Darwin’s Luck: Chance and Fortune in the life and Work of Charles Darwin (2009).